The Tata Nexon AMT with a 6-speed transmission is all ready for launch and is likely to hit the market very soon. 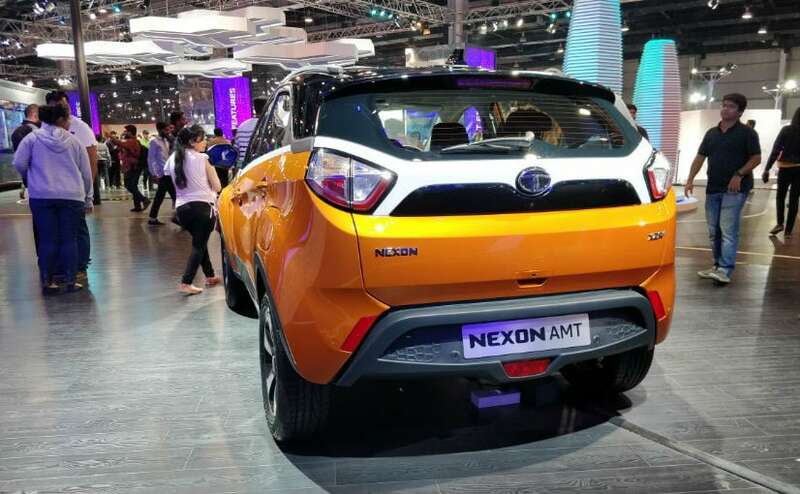 Tata Motors has showcased the Nexon subcompact SUV with an automated manual transmission (AMT) at the Auto Expo 2018. The SUV was launched last year, and is currently available only with a manual transmission on either engines. The AMT unit will be offered on both the 1.2-litre turbocharged petrol and the all-new 1.5-litre naturally aspirated diesel, and will be launched sometime later this year. In addition to the AMT version, Tata also showcased the new Etna Orange paint scheme on the Nexon AMT, which is likely to be launched along with the manual version. 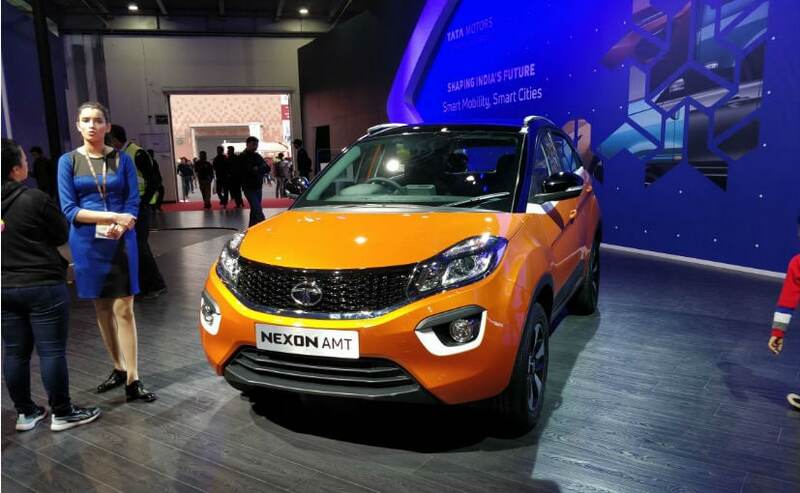 Going by the model on display, the AMT trim will be available on the range-topping XZ variant of the Nexon. The system is a 6-speed transmission and comes with a creep mode function for easy driving to counter stop-and-go traffic, along with hill assist for easy driving on inclines. The Nexon AMT will also come with a manual mode, should the driver want more control or spirited driving. 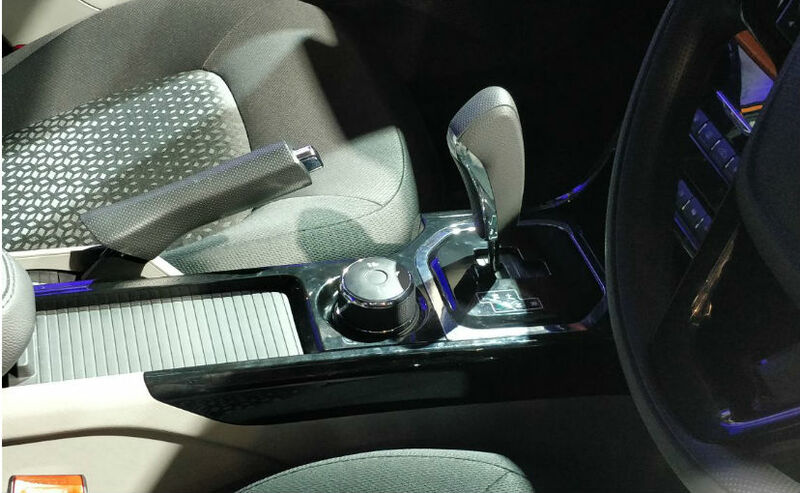 The Tata Nexon AMT gets no other visual or otherwise change over the manual trims. The Eco, City and Sport modes continue to be on offer. Expect the Nexon AMT to be about ₹ 35,000-40,000 more expensive than the manual versions, and will be only available on the top trims. The Nexon will be facing competition from the likes of the Ford EcoSport petrol DCT as well as the Mahindra TUV300 AMT. Maruti Suzuki is expected to introduce an automatic variant of the Vitara Brezza sometime in the future.